Expand your existing general dental practice with the DNA appliance® system. Using the principles of craniofacial epigenetics in your general dental practice, you will learn how to non-surgically redevelop the craniofacial region including the upper airway. The mouth is the gateway into the body, the start of health’s downhill slide, but it can also be the start of overall health and wellness. Helping patients sleep better, stop snoring and teeth grinding is a great service to your patients. Do you have patients who complain of sensitive teeth, gum recession, and/or grind their teeth, snore, wake up tired, live with head-neck back pain, or sleep with a CPAP machine? In my experience, whole body health improves naturally when the mouth is free of inflammation and misalignment. 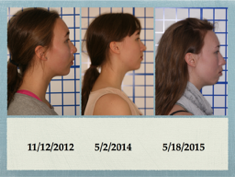 Alignment here means providing maxilla and mandible with the necessary form for proper functions. 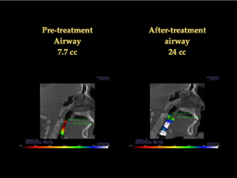 In contrast to the prevailing 1-arch Mandibular Advancement Devices (MAD), we teach a technique for upper airway remodeling called Pneumopedics®. Just as orthopedics shapes bone and orthodontics shape arches, Pneumopedics® is used to re-develop the airway so that underlying sleep apnea can be resolved. Recent advances in 3D digital technology and molecular genetics have elevated the role of Dentistry in the 21st century. 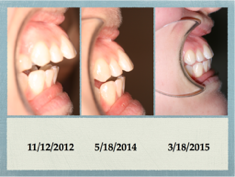 In adults and children, both tooth alignment and facial appearance can be improved, using the concepts of Craniofacial Epigenetics, pioneered by Dr. Dave Singh. The craniofacial region includes the face, the teeth, the jaws and the upper airway. Epigenetics is used to improve these structures, using biomimetic appliances that target a patients natural genes to redevelop narrow maxilla and mandible alike, crowded teeth, and dysfunctional TMJ, deficient airway, and dental-facial enhancement naturally. Biomimetics is a science that uses natural models and processes to address human health issues. Our novel protocols, including Epigenetic orthodontics, are painless and do not use surgery, braces, drugs or injections. Becoming a Certified Provider of DNA Appliance Systems is the most efficient way to help your patients get well dentally and systemically, in my opinion. 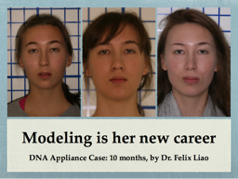 I invite you to become a certified provider of DNA Appliance systems by attending both Part 1 and 2 of the DNA Seminars. Special Bundled Offer: $6,000.00 if registered and paid by December 31, 2015. Register Today for the USA Seminars! Questions: Please call us at 703-385-6425, or email Dr. Liao by clicking here. Special Bundled Offer: $5,000.00 if registered and paid by August 31, 2015. Register Today for the Taipei Seminars!